Captain, you are hereby now relieved of your duties in Nova squad. You are now promoted to Commodore with all duties and privileges there of. You are being transferred to 7th Fleet Special Operations. You will relinquish command of the Jamestown to Commander Jellico. We have made contact with Captain Tabitha Stewart. I was told she attended the academy with you. She Commanded the USS GemStar, which was destroyed in the invasion. She was captured by a Cardassian vessel while trying to escape in a life pod. She escaped a prison on Bajor and has been providing intelligence about Cardassian Fleet movements. She has also found the reason for the massive fleet placements it Bajor. 27 years ago the Cardassians provided support for the poor and underdeveloped Bajoran people. This became an occupation. The Cardassian have setup a massive mining operation on the planet. And have enslaved the population. This explains how the Cardassian were able to launch the aggressive invasion they did. Captain Stewart will continue to provide intellegence on Cardassian Fleet movements. Captain Stewart has informed us of an alarming event. Three days ago, a bajoran piloting a Cardassian cargo vessel, captured this image. 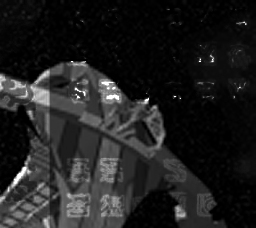 As you can see its a Klingon Bird of Prey docked at the Cardassian mining station. This could signal a new Cardassian-Klingon Alliance. We need to find out. 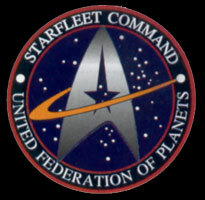 Ambassador Sarek of Vulcan has contacted the Klingon Chancelor K'mpec. He has assured us that there is no alliance, and the Klingons will adhere to Khitomer Accord. He has requested a meeting with a special ambassador to explain this situation. K'mpec points to a rogue house that has been exciled from the empire. 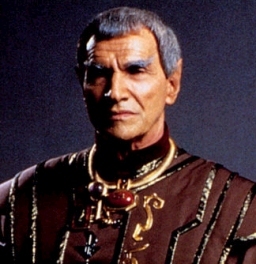 You will take Ambassador Sarek onboard and take him to the rendevous point. You will be commanding the USS Wolf, A miranda class vessel. The smaller vessel will draw less attention. Be sure to convey full dimplomatic courtesy while on this mission.